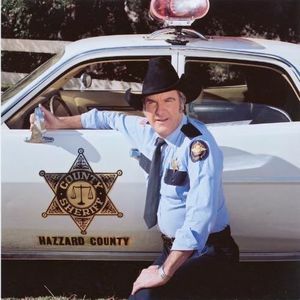 RALEIGH, North Carolina (AP) — The prolific character actor best known for his role as Sheriff Rosco P. Coltrane on "The Dukes of Hazzard" has died. James Best was 88. His wife of 29 years, Dorothy Best, said Tuesday that Best died Monday night in hospice care from complications of pneumonia. "in tribute to our favorite sheriff, in Hazzard county. I didnt know you had passed away so soon. Your memories, on tv, are priceless. Weather you caught the Duke boys (or not), your character, on tv is one for the history books." "friend!!! I'm glad that not going to church hasn't stop the cotimnicaumon between you and God. He is amazing I tell ya... all we have to do is keep him up to speed by talking ..."